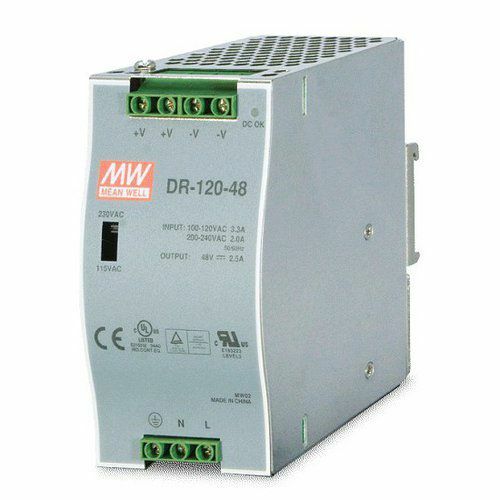 MEAN WELL 120W DIN Rail PowerSupply DR-120-48 48VDC | DamenCNC B.V.
We no longer sell this produtc.It has been replaced by the NDR-120-48, which is always in stock. The NDR series has a more compact design, and is also cheaper. It also has some other improvements. For example it is no longer required to manually set a switch from 110V to 230VAC, this is done automaticly inside the new unit. The part you need is DamenCNC partnr 4395. 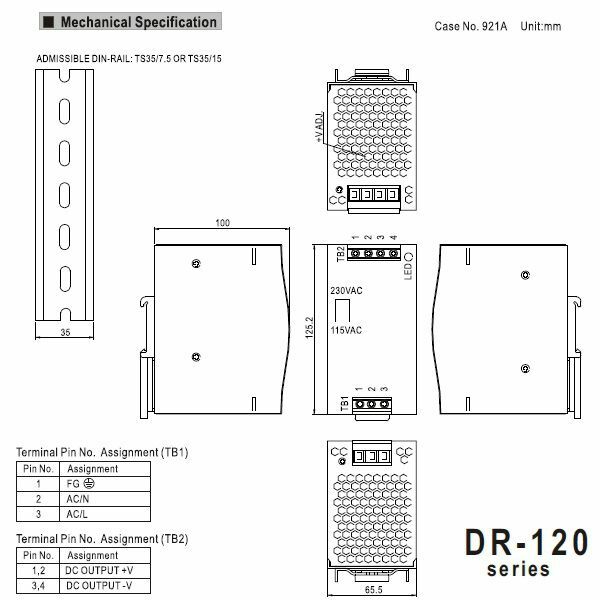 You can also search in our search bar for the NDR-120-48. Or go to the replaced by product tab, and you can sell all alternatives.